Wherever arteries are heavily stressed or poorly nourished, they age faster and silt up more rapidly. This gradually narrows them, slowly strangling the blood supply beyond. The arteries of your heart are particularly susceptible to this kind of degeneration because your pulse beats most violently there, but your legs can be affected too. The maximum power muscle is capable of depends on its blood supply and dwindles gradually over the years as the blood vessels become narrower. In developed countries people rarely exert themselves fully, so the limitation is very advanced before you begin to notice it. Then you feel a tight gripping pain in the centre of your chest or down the inside of your arms or in your jaw whenever you exert yourself beyond a certain limit. It quickly eases when you rest and is predictable, so that you learn to recognize the limit of what you can do. That is less after meals, in cold weather, and when you are angry or under pressure. You can do more in warm weather with nothing to digest. Provided you keep within the pace dictated by the pain you can get on with your life normally. The condition can remain very stable over decades but your stress tolerance is permanently hindered. Disorders like diabetes and high blood pressure commonly coexist with this because they also make your arteries age faster. 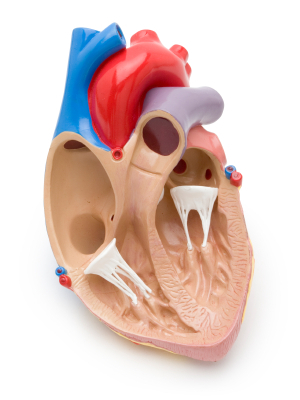 Severe anaemia can cause angina while your arteries are still quite healthy. Angina makes it more likely that you will have a coronary because narrowing of your coronary arteries is the usual background for this. Nevertheless many people with angina who settle to a comfortable and measured pace of life defy this risk because their disease teaches them to manage stress and to keep within their capabilities. When all this has been said remember too that your body constantly seeks to conform to your personal blueprint and that your arteries slowly grow and change their shape, even when they are diseased. People sometimes manage to reverse the progress or effects of their disease if they are determined enough: they are reinforcing their blueprint and reimposing it. That same vitality, or intensity of living, can prevent your decline in the first place and remains available to you at any stage in the disease. 1. You can relieve angina attacks more quickly by holding your breath and sucking in hard for a count of five. Then breathe with your abdomen slowly and deeply for a few minutes more. This stretches your heart and lungs and expands your coronary vessels slightly, massaging and drawing blood into them. It complements rest and reduces your need for medication. Abdominal breathing for a few minutes each day has a cumulative effect which will extend your exercise limit. 2. Bathing habits can improve tension and stress. More cumulative relief results from the regular habit of bathing your forearms first in hot water for three minutes and then under the cold tap for thirty seconds. This cycle can be repeated three times, finishing with cold. It eases the tone of the nerves to your heart, making you less susceptible to tension and stress. Ten minutes of this twice daily is well spent. 3. Diet and supplementation: You should be able to stem or reverse the progress of your condition by adopting the cleansing diet and supplementing it with magnesium and manganese, selenium, zinc, vitamins B6, C and E and lecithin. After a few weeks’ perseverance you can afford to relax onto the diet for health but maintain the supplements. If you are overweight, reduce slowly but surely. If you smoke make it an urgent priority to stop. 4. If you are an unnaturally cold person, consider the information in Always Cold. 5. Exercise improves cardiovascular health. With all these measures in hand you can afford to exercise. Walk for half an hour, clothed lightly but warmly, on a disciplined daily basis. This challenges your arteries to expand along all available routes which by-pass the blockage. Your exercise tolerance will expand — your angina may completely disappear. This will take courage and perseverance — at least a year. Then keep the exercise habit going. 6. Keep up a bright outlook on life, take a keen interest in everything around you and apply yourself to purposes of your own. This gives your body something worth living up to. 7. Spend a few minutes each day relaxing and imagining what it is like inside your damaged arteries. Then visualise something cleaning out the blockade and healing the damage. The image does not matter — great things can be done with imaginary fish or flue-brushes. Repeat this daily, reckoning up your progress. Silly as it sounds, it really works. 8. Chelation therapy is an alternative means, less expensive than cardiac surgery, of removing the material that blocks the arteries, known as atheroma. Ask your doctor for information.